Journalists are in a uniquely powerful position to keep the public informed about what is happening in crime and justice, to hold Governments to account and to raise informed concerns about law and order issues. However, misguided and inaccurate public associations between ethnicity and crime are leading directly to increasing forms of discrimination, including employment discrimination, racial profiling, hate-motivated violence and has well-established psychological harms and social exclusion impacts upon the community itself. The notion of what is fair reporting is subject to constant debate. Almost no one likes to be considered unfair or racist, and media workers who demonstrate bias are rarely aware of the harm their work may cause. The pressures of deadlines, inadequate resources and understaffing can also lead to shortcuts and lack of research. This set of brief guides below is aimed at supporting journalists and supporting clear ethical approaches to the challenging area of crime reporting. Journalists need to be aware that there is absolutely no causal link between ethnicity and criminal behavior and that the perceived race or ethnicity of an offender has no bearing on the crime itself or its likelihood. This issue has been studied by the Australian Institute of Criminology and similar institutes around the world over many decades. Consistently researchers find that a person’s ethnicity or race has no determination upon their likelihood of being involved in crime. When seeking prevent or reduce criminal behaviour most police and justice agencies now recognise, at least formally, that socio-economic factors, gender, age or situational related factors are what needs to be focused upon. Despite this, media articles drawing links or associations between ethnicity, race, nationalities or a person’s country of origin and crime are common. Even well meaning journalism can reinforce this association simply by a misplaced focus upon ethnicity where it is not relevent. In order to prevent this association, journalists can expand their sources when covering crime and contextualise crime within broader social problems and within longer term trends. Provide context. Editors and sub-editors need to take special care not to misrepresent or oversimplify, especially when headlining, promoting, previewing or summarising a story. The onus is upon media workers, editors and commentators not to buy into the racialised, anti-immigrant framing or reinforce black-crime stereotypes. More reflective, better researched and ethical public commentary around these issues will go some way towards reducing the racial perceptions of crime across media and society. Accusations of ‘political correctness’ are often leveled at people who point out the impacts of irresponsible reporting of crime and ethnicity. However this is about fair and accurate reporting. Nothing prohibits journalists or writers to focus upon ethnic or cultural specific groups to problem-solve the socio-economic and age related risk behaviours. Journalists seeking fair, accurate and ethical reporting on these issues can consider the following guides. Reporting upon a rise or fall in crime statistics can be fraught and traps are common. Journalists should always consult with and have any intrepretations of data and any graphic visualisations checked by criminologists who have experience interpreting and analysing crime stats to ensure accuracy. Changes in crime figures can depend upon how crimes are catagorised, how they are recorded, by whom and whether they are raw figures, or by population. Criminologists spend a great deal of time comparing data-sets, allowing for seasonal variances, population changes, police recording practises and inaccuracy’s when analysising crime trends. Journalists in general do not have the time or expertise to do this. Any rise or fall in crime should be placed in the longest possible trend lines. Crime changes over only 2-3 years can provide a distorted picture by picking up very short term spikes and are generally not very useful for readers to determine any actual trends. In many cases the overall numbers of actual crimes of one type can be so small that a small jump in numbers can seem like a substantial percentage jump. Since March 2016 numerous Victorian journalists and commentators have attempted to compare offender stats by ethnicity with the overall population figures for that particulary ethnicity and have misinterpreted and misrepresented them as a result. This comparison has been done by the journalist or media outlet and not by a research agency or experts. A discussion on this dynamic can be found here. There is nothing unusual about spikes in offending patterns. If a suburb experiences a baby boom we know that in about 15 years there will be a corresponding ‘spike’ in youth crime in that particular suburb. That suburb will be ‘over-represented’ in the crime stats for a small period of time. For certain crime types, particular age groups of particular ethnicities may become ‘over-represented’. But this is always temporary and has far more to do with the average age of that population, socio-economic factors, age and local circumstances than ethnicity. Criminologists, researchers and even police command have a good understanding of this and journalists need to provide enough context and analysis when reporting upon crime rise or ‘spike’. A good guide for journalists is Weatherburn’s Uses and abuses of crime statistics, NSW Bureau of Crime Research (2011). It is vital that media workers do not buy into or amplify racist narratives and challenge our own internally held biases. Skewed racial perceptions are amplified by journalists, commentators and policymakers who over-represent minorities as crime suspects and whites as crime victims. Being aware of personal cognitive biases is an important aptitude for ethical and effective journalism. US journalist, Steven W Thrasher, points out how overwhelmingly white media outlets, where the vast majority of editorial staff are white, racial and other bias is inevitable and made worse when journalists claim themselves to be “objective”. 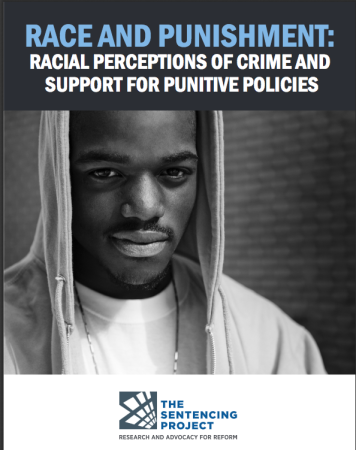 The report, “Race and Punishment: Racial Perceptions of Crime and Support for Punitive Policies,” found that racial perceptions of crime are significant not only because they contribute to isolation, discrimination and racial profiling by fearful citizens and police officers. They also lead to increased support for punitive policies that make the criminal justice system more severe for everyone. “Dispelling the illusion that jounalists and media workers are colorblind in our decisionmaking is a crucial first step to mitigating the impact of implicit racial bias,” says report author Nazgol Ghandnoosh. The news media typically follow a script in crime coverage that too often plays onwhite fear of black crime while downplaying blackvictimisation. 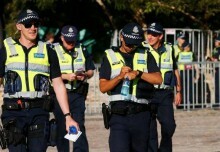 Researcher Aaron Batchelor at Latrobe University analyzed a pool of 278 crime reports in the 16 month period between March 2016 to June 2017. He found narrative themes of terror, and emotive descriptors such as thugs, predators, an emphaisis on ethnicity and a propensity to link crimes to the ‘Apex Gang’ as predominate themes throughout. Ghandnoosh recommends journalists analyse how they cover crime stories and carefully consider word choice when describing crimes where a suspect or offender may be of a particular ethnicity. Media professionals can also undertake training around implicit bias like that expected of magistrates, lawyers and police. When to identify a suspect’s race? The basic rule of thumb is this: When there is no need to highlight ethnicity – it does not need to be highlighted. Highlighting ethnicity should only be used for supsect identification only when it is used alongside other recognisable attibutes. “African appearance” is just as useful for the the public to help identify a suspect as “Caucasion appearance” would be. It only becomes useful when used in combination with clothing, height and other unique apearance characteristics provided by police. 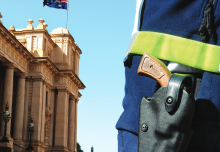 To their credit, Victoria Police have generally been careful in recent years, in not publicly highlighting the ethnicity of offenders when it is not required for identification or investigative purposes. Associated Press style guide states “references to race or nationality must be relevant to the story.” Despite widely held assumptions in the community, ethnicity is not a causal nor a determining factor in criminal offending and should not be presented as such. It’s use, more often than not, distracts from the public’s understanding of the casual factors behind a crime. There have been at least three recent cases in Victoria where suspects of serious crimes were mistakenly identified in media reports as ‘of African appearance’ when in fact they were not. Whether the initial mistaken identification was made by witnesses, police or by journalists, the harm done is not hypothetical and can lead to longer times before an offender is caught as well as wrongful arrests and charges. Journalists shoud take care and check sources thoroughly before using an ethnic descriptor in their story. 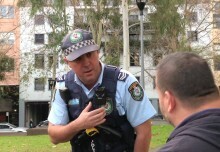 Journalists will often seek out a community representative or community leader for comment in order to provide ‘balance’ when a crime story involves ethnicity. This practice is usually considered only when a suspect or perpetrators are from a minority group. A useful comparison to make is this: If the crime story you are compiling involved caucasian suspects or perpetrators, which caucasion community leader would you contact for comment about the behaviour of the suspects? Media agencies should recognise that community leaders and spokespeople feel that they have to accept blame or provide explanations for the actions of a relative few young people. 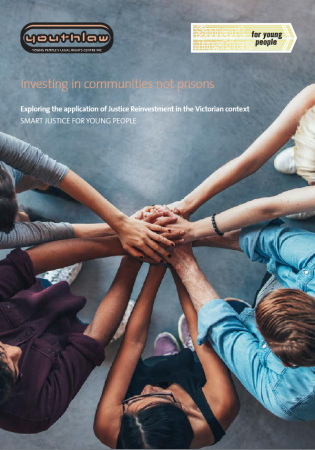 A community leader is not necessarily an expert on youth crime simply becuase he or she shares an ethnic background with some of the offenders. Many are deeply sick of the toxic stereotyping. Journalists should recognise that the stress upon immigrant and refugee families and their community leaders is immense and that many community leaders and advocates are no longer speaking to journalists. Racialised fear of crime currently being utilized by extreme white-nationalists and neo-nazis in Australia. Members of these groups commonly present themselves as ‘ordinary Australians’ and have been presented as such by uncritical media. Over the past two years numerous members of far right, neo-nazi, white nationalist or hate groups have been interviewed about crime or law and order issues without any reference to or signposting of their political affiliations or views. This uncritical or unconscious reporting represents a dangerous normalisation of extremist ideologies in Australia. Journalists conducting interviews need to conduct adequate background research and critically examine the statements of spokespeople from anti-crime, ‘Patriot’ or law and order groups. There has been an outcry regarding the New York Times’ insufficiently critical profile about an American Nazi and there have been similar critiques about Australian media ‘profiles’ of white nationalists here. Some journalists believe that asking ‘difficult’ questions in an interview with a white nationalist is enough to challenge their racist, anti-semitic or Islamophobic views, but this still allows them to express these views widely. Media seeking to present “all relevant views” in its coverage of an issue often fall into the trap of providing prestige, notoriety and a huge amount of airtime to extremist ideologies. Dr Abramovich said the media needs to show “moral leadership” when it comes to stories about hatred and violent extremism. Media Watch: Far right propaganda gets re-purposed as mainstream news. The public perception of young people from migrant and refugee backgrounds is often associated with crime or offending behaviour. Unbalanced media stories sometimes reinforce these stereotypes. 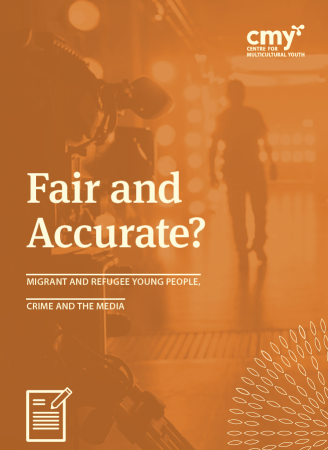 This paper, published by the Centre for Multicultural Youth aims to gain a more accurate picture of migrant and refugee youth offending, by comparing media portrayals with available police, census and Youth Justice (Department of Human Services) data. To set the context, it briefly explores risk and protective factors, with specific regard to the migrant and refugee experience. It also examines the negative impact that misinformed public perception can have upon the lives of young people from migrant and refugee backgrounds. Guidelines for Countering Racial, Ethnic and Religious Profiling. The Society of Professional Journalists passed a resolution urging members and fellow journalists to take steps against racial profiling in their coverage of the war on terrorism. The set of Guidelines were published in October 2001. You can download a pdf of the MEAA Journalist Code of Ethics by clicking HERE and download a poster version HERE. · The clause or clauses of the code that you believe have been breached. The letter should be addressed to: the CEO, MEAA, PO Box 723, Strawberry Hills, NSW 2012 or via email ceo@meaa.org Once the MEAA chief executive receives your letter, the chief executive will refer it to the National Ethics Committee. Only journalist members of MEAA are bound by MEAA’s Journalist Code of Ethics.